Ooo invisible surface skimmer box! call the skimmer police 🚔! Impressive! If I ever have GHA I may be asking to borrow that guy. Lol. Yeah, and he moved to the plug next to it in the picture for "reference" when he was done with the first plug...It's like I put him down on the plug, and he said "What strange delicacy is THIS that you have presented to me....Al-Gee? YUM"
Also looks like you could peel those zoas off those hairy plugs easily if you were so inclined. Haha. But the clean plug in the foreground looked like the plug its currently on before I got it...lol...little lawnmower! That snail deserves a raise and/or promotion. 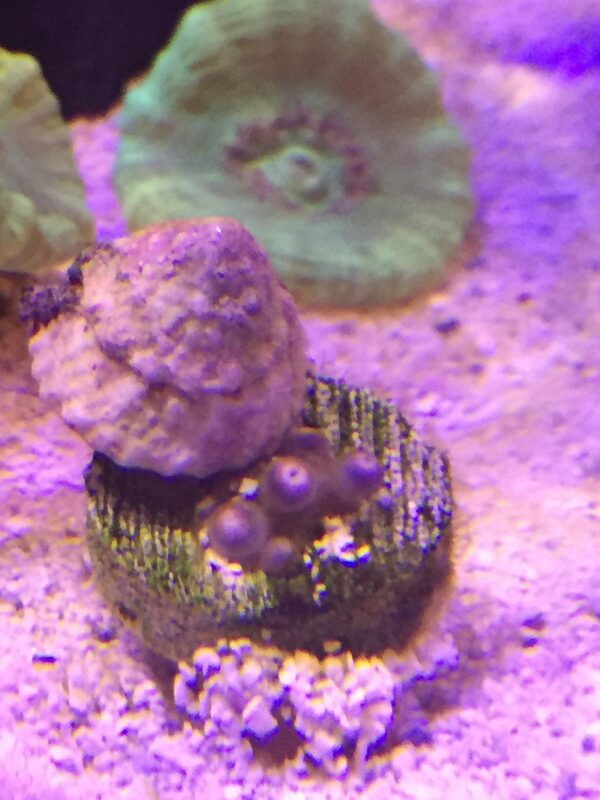 So I had purchased a coral a little over a week ago, from of all places...Petco. Don't Judge Me. 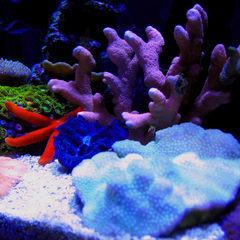 I went in for kitty litter, and noticed they had a saltwater section, and they had a few cheap frags. 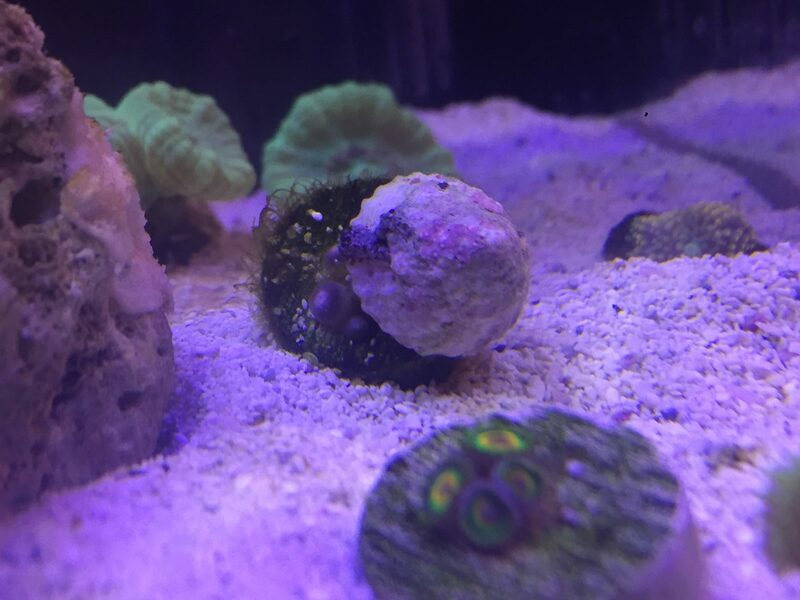 This particular stylophora, looked VERY brown under their 6500k T8, but I had a suspicion it would have theyse nice green polyps, and I thought maybe I could bring some color back to it. It had ALSO encrusted 90% of the plug it was on, surprisingly enough. So I pulled the trigger and bought this thing. It was 15 bucks. And has some nice branching. 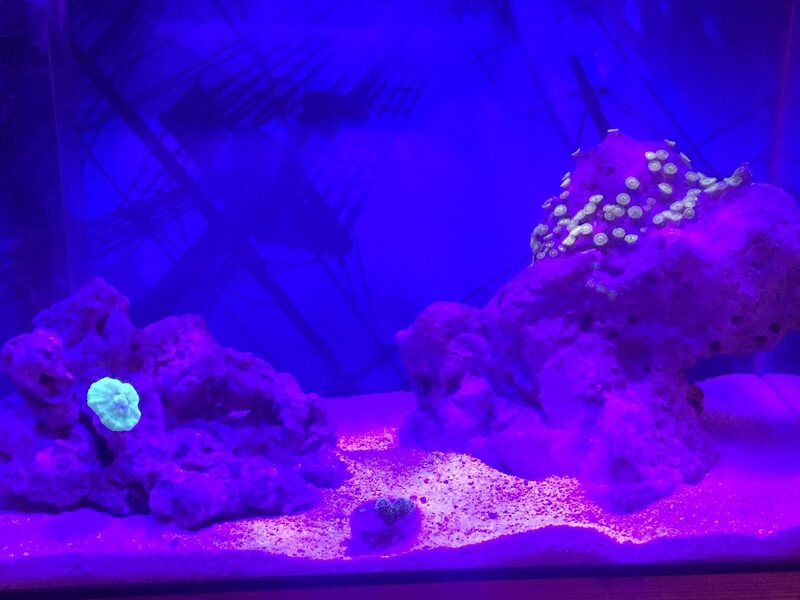 Well, when I brought it home, I decided to snip off part of the base of the frag plug, but dropped the coral in the process. After my fumble into a 5 gallon bucket, a little branch was dangling, and I quickly put the whole thing in my 7 gallon tank immediately after I dropped it. I shook it a little till the piece that broke off fell INTO my rock (RIP). Awesome polyp extension! So I'm stoked. 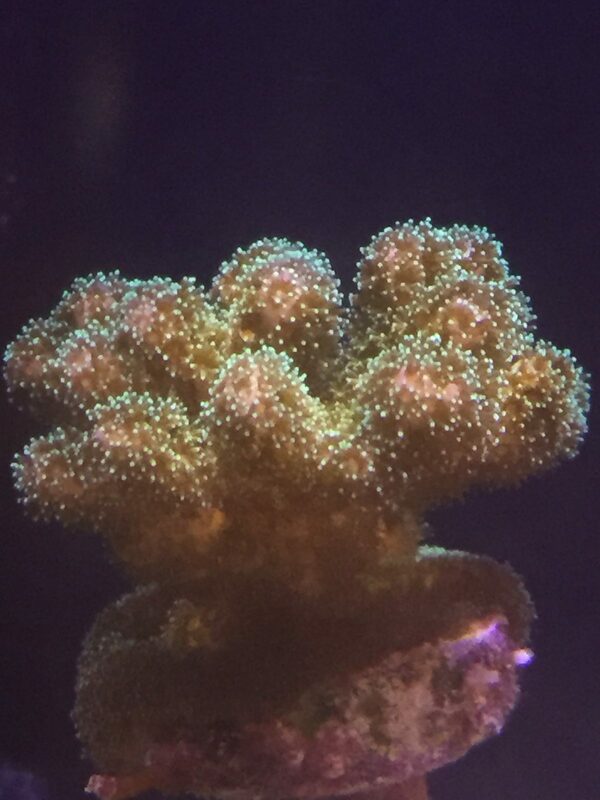 I successfully (and accidentially) fragged my first piece of SPS...haha! I will confess, they had (what I think is) a purple stylophora, also looking very brown but healthy. I may try to pick that up as some point. 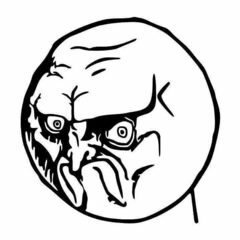 It's clear that some of these frags sit in that tank for a while. What is looking brown now, will hopefully regain some of it's color in the coming months. Also, the snail, Snapper, is a beast. He cleaned all the frag plugs that had GHA on them, and then moved onto the rock to keep working. 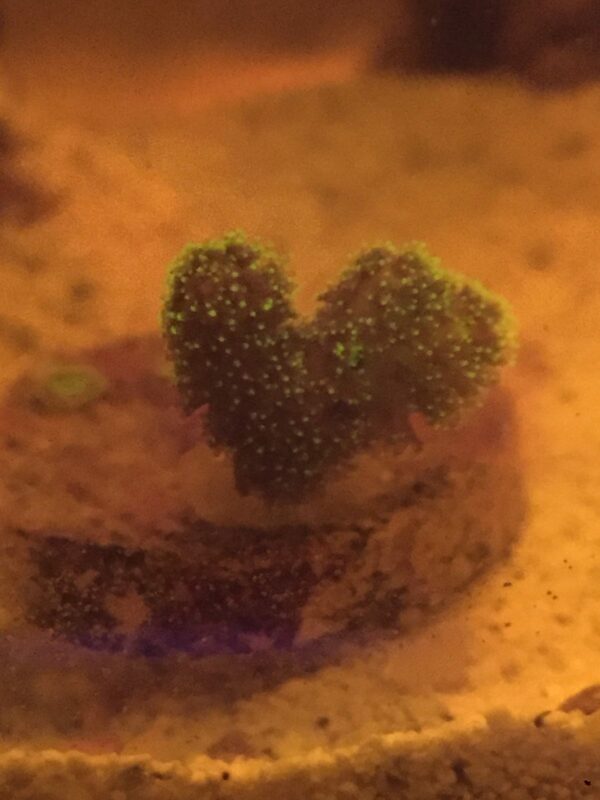 Best $2 reef purchase, ever. Metatank your pico is looking amazing so far... I need ur diy skimmer plan for ac20. I got this oil slick on the surface, but its acting as an additional diffuser at this point!!! lmao. I didn't even have to cut the intake or anything. I know some people would want to, but I think the skimmer functions better this way when it extends all the way to the normal intake position on the HOB. I just made sure the notches were wide enough, and deep enough, that the skimmer can handle the multiple flow speeds flow from the AC50. It's really been awesome so far.